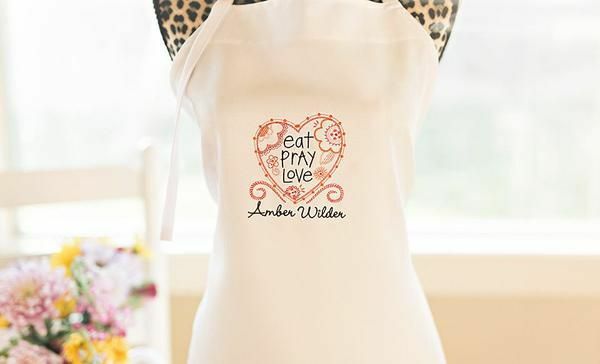 Looking for the perfect gift for a special woman in your life? 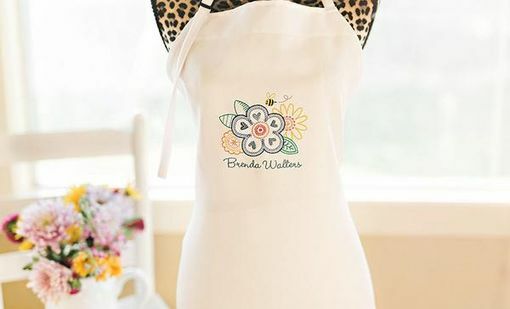 Let her know you are thinking of her with a personalized apron that will remind her of your thoughtfulness every time she wears it. 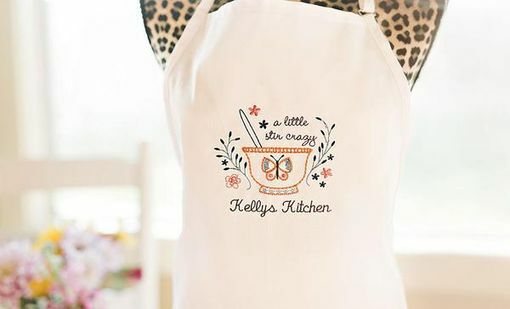 Choose from four exclusive designs created with her in mind and give her a stylish way to show off her skills in the kitchen! Choose your favorite design and personalize any way you choose. 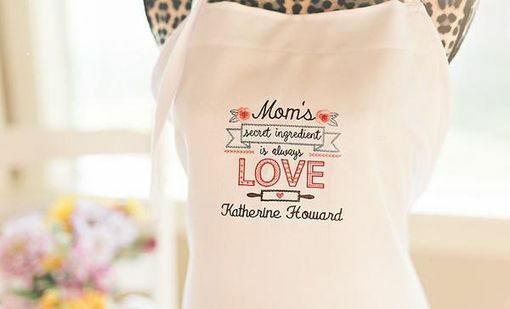 This is a gift that will always be remembered by the recipient and is perfect for Mother's Day, birthdays, bridal showers, weddings, holidays, and more. These are made from high-quality materials to last a very long time and are machine washable. Make sure to pick one up for yourself, as well!